Ah yes, Dragon Age II is here but like quite a few games before it, there’s quite a few problems that prevent you from enjoying the game. These range from the all too common Dragon Age 2 crash, Crash to Desktop problem, to validation/activation issues, etc. While I didn’t encounter a whole lot of issues (other than a strange audio problem), a lot of gamers have been reporting issues so here is a guide to help you out with fixing those annoying crashes, audio issues, slow and choppy gaming performance, failing save/loads etc. 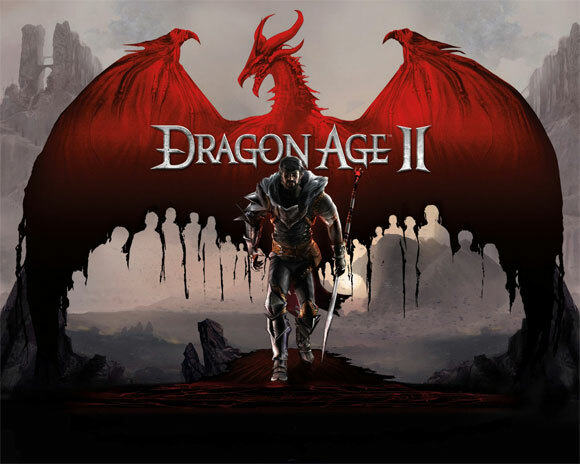 Once you’ve made sure that your PC can run Dragon Age 2 , check your drivers. Make sure you’re running the latest stable versions of the drivers for your Graphics Card. If you don’t know where to find them, here’s a list sorted according to manufacturer. A bit of warning, if you’re on an Intel Integrated Graphics, don’t expect smooth performance from the game (or even expect the game to run). Your GPU simply isn’t meant for this sort of stress. Solution: During setup, always choose the custom installation. Error message “we could not activate Dragon Age 2 on this computer” appears when trying to activate the game. Solution: Click on the “Enter product key” button and type in your product key again. This is because EA has it’s own thing going with the activation process of Dragon Age 2 and inputting the key on Steam/Direct2Drive is just for the sake of adding the game to your profile. Once you’ve gone past the initial problems with installation, here’s the meaty part. Like Fallout New Vegas and Civilization V, a lot of gamers seem to be having problems running the game due to bugs, unoptimized code, etc. Make sure you’ve updated to the latest drivers for your GPU. You’ll be needing them. Solution: Run DragonAge2Config.exe and use Stereo for the sound settings. Solution: Disable your firewall, and run Dragon Age 2 as admin to resolve this issue. Solution: Add Dragon Age 2 to the exceptions for your firewall, and run Dragon Age 2 as admin to resolve this issue. Solution: This is a known problem with SINGLE CORE CPUs. Download Patch 1.01 (available above). Solution:If you have a multi core processor and for some reason you are experiencing the same issue. You may want to check the affinity set for Dragon Age 2 process. Right Click on DA2 exe. Set Affinity > Make sure more than one processes are selected. Solution: Download the hotfix from Bioware. Solution: Check if your hardware can handle the high texture pack. Video cards with limited bandwidth *ahem*GTX 460 will encounter this. ARGHHHAH I STILL CAN’T RUN IT WHAT DO I DO!?!? Bioware has released Patch 1.01 to address some of the issues and will no doubt continue on releasing further fixes for issues. Bioware’s official tech support. Leave a question here. Someone should be able to help you out. If you however, you feel that you have other solutions to fix Dragon Age 2 and any other problems that players are experiencing, post it here in the comments. Important Note: If you like this post, please consider linking to it and/or spreading it to your networks. Important Note: If you have information that you want to be added to this guide, please post it in the comments. I’ll put them up for everyone to see. Also if you have further questions, don’t hesitate to put them in the comments as well. If the installation crash at OSX 10.9.2, just “Allow apps download From” to “Anywhere” at System Preferences / Security & Privacy.